He was very personable and very thorough. Dr. Stern seemed genuinely interested in my health concerns and answered all myquestions. I would highly recommend him to anyone else needing an ENT doctor! He was very personable and very thorough. Dr. Stern seemed genuinely interested in my health concerns and answered all my questions. I would highly recommend him to anyone else needingan ENT doctor! Amazing doctor. I took my Mom to see him and he was thorough, caring, effecient and kind. His diagnosis was accurate.Nothing more I’d want in a physician. My mom thought he walked on water. I usually try and give a well rounded review, and list the positives and negatives, but there’s nothing negative I can possibly say. Amazing doctor. I took my Mom to see him and he was thorough, caring, effecient and kind. His diagnosis was accurate. Nothing more I’d want in a physician. My mom thoughthe walked on water. I usually try and give a well rounded review, and list the positives and negatives, but there’s nothing negative I can possibly say. 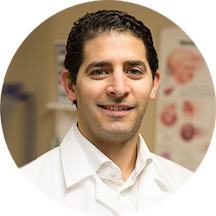 Dr. Noah Stern is a considerate and skilled ear, nose & throat doctor in Detroit, MI. He obtained his medical degree from Michigan State University. He also completed his internship at POH Regional Medical Center. He also completed residency in otolaryngology and facial plastic surgery at the same center. He holds a bachelor’s degree from the University of Michigan in Ann Arbor. Dr. Stern is certified by the American Osteopathic Board of Otolaryngology-Head and Neck Surgery and is affiliated with Sinai-Grace Hospital in Detroit, MI. He is a member of the Michigan Osteopathic Association, the American Osteopathic Association, and the American Osteopathic College of Otolaryngology - Head and Neck Surgery. Dr. Stern believes in listening to each patient and creating a partnership to maintain and improve lifelong health. Stern, N., Hyde, T., Kleinman, J., Freed, W., Lehrmann, E., Cocaine Alters Neurofilament Protein in the Prefrontal Cortex of Humans Who Abused Cocaine. Poster presented at: National Institutes of Health Research Forum 2001, Jun; Bethesda, MD. Dr. Stern is very kind and caring. He was knowledgeable and cured my ear issues! Had Dr. Stern as my regular ENT doctor when I was a teen,( That was 6 years ago) and recently had an appointment with him and he was able to diagnose me right away. He is literally the best you're ever going to find. The appointment with Dr. Stern went well. He was attentive to the issues my daughter stated that she was experiencing. He was AMAZING!! So friendly! I was the last appointment for the day and there is no doubt that there would have been a wait till I was seen. Dr. Stern gives attention to each patient that they are need of so, you should expect a delay if you expect his full attention. Dr. Stern, his resident, and the student doctor were kind, informative and professional. I am satisfied as so far as a new patient with my diagnosis and treatment plan. I would definately recommend them to others. Waiting over an hour wasnot cool and I could see that it was out of their hands. From what I understand is that the owner of DMC, Tenet Healthcare, is highly demanding and wants to cram as many patients in as possible making it difficult for office staff to do thier job effectively. Tenet Healthcare is not well-received with medical professionals who care about their patients. Noah Stern DO was excellent. He listened to everything I had to say attentively and answered all my questions with claity. Doctor Stern was very instructive as to the details of my condition and options. He showed me my CT scan and detailed its findings. The wait-time was accidental and he much apologized for it. I highly recommend this young, smart doctor. It was good , informative. Appreciate his knowledge. He was very professional, he listen to everything you say, he doesn't try to over talk you and he makes sure you understand everything that he said before you leave. Dr Stern had excellent bedside manner & was very knowledgeable and thorough. I just hope that what he prescribed will relieve my pain. As far as the office. The wait was extraordinarily long! I arrived at 9:15 am for my 9:30am apt however I did not see Dr until 11:30 am. I waited almost an hour in the waiting room and another hour in the exam room, This was not good experience for a new patient. Scheduled my appointment for 8:30am so I could be first and when I got there, there were 4-5 people already there. Given the same appointment to several people at the same time is ridiculous since there is only one Doctor! Dr. Stern is very personable, friendly, and professional. The wait was about 20 minutes, but I thought that was fast considering the amount of patients that were in the waiting room before 9:00 am. My visit was well worth the wait!Dr. Stern listened patiently as I stated my reasons for seeing an ENT, and answered all of my questions. I didn't feel rushed at any point during my appointment, as I have with most other physicians I've seen. Great doctor! Very pleased.